We are radically changing the way fashion is produced and sold. We are redefining the boundaries of luxury! At WeLoveCouture we carefully choose our designers over time , and they are fairly paid. Discover their collections, we assure the order taking, the relation with the workshop, the reception, the control and the shipping of your articles. The rules are being changed. In the traditional trade the artisan/ employee receives less than 10% of the article price, Welovecouture raises it to 75%! A traditional brand like Maje, Sandro ... applies a markup of 7 to 10 on the cost of the manufactured product, 2 to 3 for digital brands like Everlane. We do it differently, We apply a markup of 1.3 to 1.60 , which is up to five times less! A much lower price for you and more equitable remuneration for the workshop and their team. Our direct relationship with the workshops as well as a better remuneration of their work allow us to offer you exceptional services without extra costs. 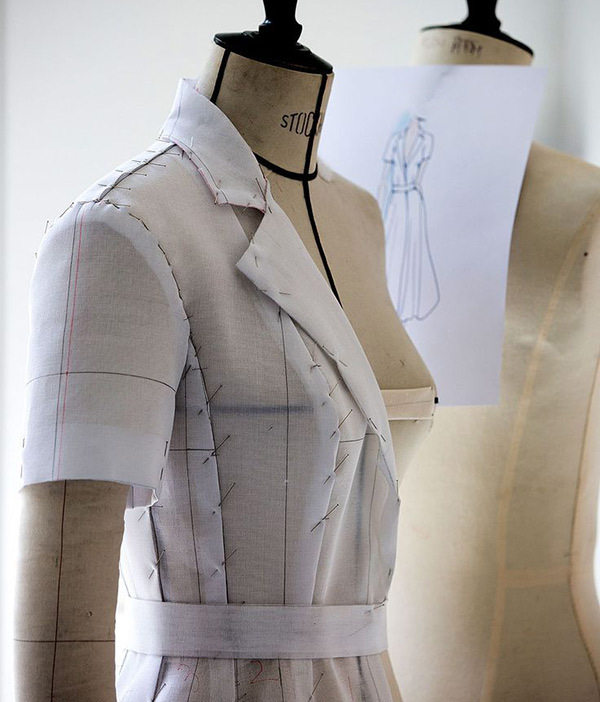 Namely, the realization of your favorite made to measure pieces, and / or their customization without limits. With the possibility of returning these articles for a refund. Each piece is made in the workshop, on order, by hand. Essentially ethical, these small workshops consist of small teams of qualified staff with whom we have a direct relationship. Each designer is free to present his products if he respects the quality criteria. This explains the variety of choices of materials, models and styles. Even more affordable prices with the same services. Welovecouture offers a permanent discount of -20% on the whole site, sales included. It's an incentive, yes, but for the consumption of sustainable products that you need them not traditional brand products. How ? With a subscription of 78 GBP/year , you are entitled to this permanent benefit, valid from your first order. Why? Luxury becomes accessible with better revenue sharing. This discount does not affect the creators / designers. This subscription includes the charges of the team who manage your orders.